For some time now I've been meaning to complete the Electric Imp Trailhead project. Unfortunately there were a couple of things holding me back from completing it. Firstly, I needed the physical impExplorer Developer Kit hardware. Ouch! A bit hard to justify $116.49 shipping on a $25 purchase. To be fair, I checked it again today while writing this post and they now have some much more reasonable options via USPS starting at $16.33 USD. Anyway, as luck would have it I found some time to sit down in the Dreamforce '17 Developer Forest and start working through the project on site with the provided hardware. For some reason that I can't recall I opted to work through this module with an existing Developer edition org (lack of time to delete and then create a new trail org?). It was also my downfall, as the org had a namespace defined and the IoT Contexts didn't seem to support namespaces. There were GACKs all over the place. Lesson learned, next time I'll be tackling it against a clean org. Fast forward to today, some months after Dreamforce and I've got some spare time to sit down and tackle this again. An no, I haven't forgotten the second thing that was holding me back. I'm just getting to that now. I needed a fridge to use for the project. One that also got a good WiFi connection. 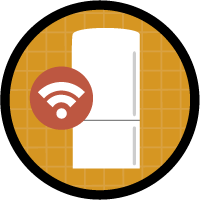 I don't know about you, but my actual fridge is a bit of a WiFi dead zone. It's probably either the proximity of the microwave or the Faraday cage I wrapped it in to protect my ripe avocados from EMP attacks. This was an easy enough problem to solve. Like anyone else with a 3D printer, the solution was only several hours of plastic extrusion away. 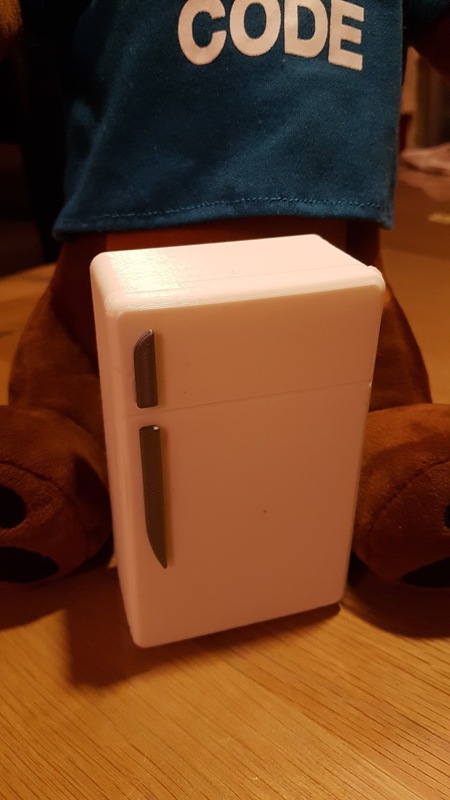 It turns out there was a purpose made fridge ready to go on Thingiverse- Model Fridge for Salesforce IoT Electric Imp Developer Board. With my new mini fridge, electric imp board, and three AA-batteries-I-borrowed-from-my-sons-remote-control-car-but-will-replace-before-he-wakes-up I embarked on completing the project. We won’t check any of your setup. Click Verify Step to go to the next step in the project. Boo! This is actually a real pain, as there isn't anything to indicate if you've taken a misstep at any point along the way. That said, it is all fairly straight forward if you are proficient at following instructions plus cutting and pasting. The IoT orchestrations were new to me and hence the most challenging part of the project. For instance, I initially found it confusing that the conditions you define on a State are the exit criteria that transition to the other states. I guess this makes sense as a finite-state machine would only be concerned with the transitions it can make from the current state. E.g. If I'm in a door open state, I'm only interested in transitioning back to the default state when the door is closed again. 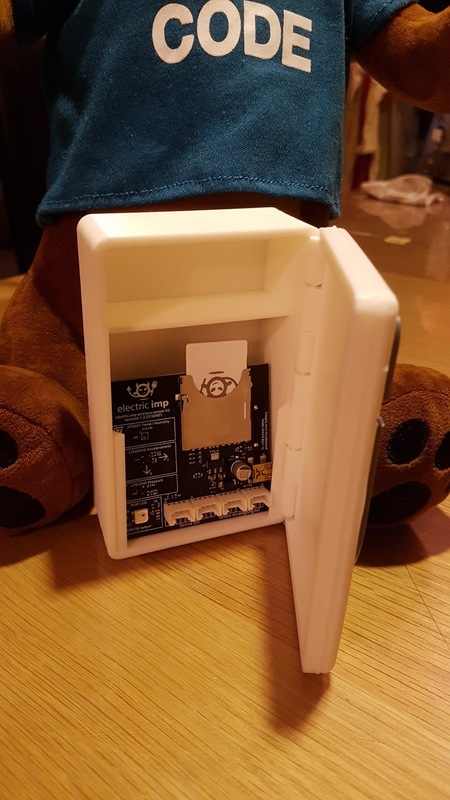 As the Electric Imp is communicating to Salesforce via Platform Events it provided an easy mechanism to send in mock readings via Apex. This helped with testing when your child wanted the AA batteries back. Things I'd change? I'd probably take the light sensor LUX reading and relay that directly back to Salesforce rather than having a configured level to indicate that the door is open. I'm assuming it has the current form to show how values can be passed back from the Device to the Agent for additional processing. I'm also interested in the accelerator and air pressure sensor which are part of the imp001 hardware but aren't utilized in this badge. Maybe another state if the fridge door is closed too hard? In my case that was caused by the agent code persisting the access_token that it gets via the initial OAuth process. There isn't an automated mechanism to drop the expired session details or refresh it. Instead you need to use the Agent URL to complete the OAuth process again.